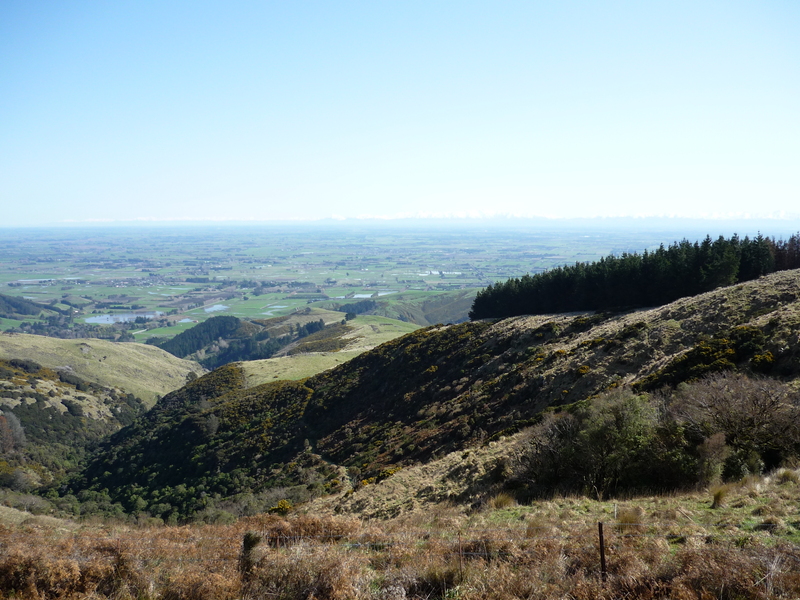 The first few years I lived in Christchurch, the Port Hills were a hazy mirage on my horizon. An undergraduate student – living in the suburbs neighbouring the university, without a car and distracted by the daily dramas of assignments, waking up in time for lectures and shaking off hangovers – they were just a sight to occasionally glance up at. Sometimes they had snow on them; a big deal for us North Islanders. In later years, they became my figurative home. As a PhD student I chose the Port Hills as my field site because they required little travel and I thought it’d be interesting. 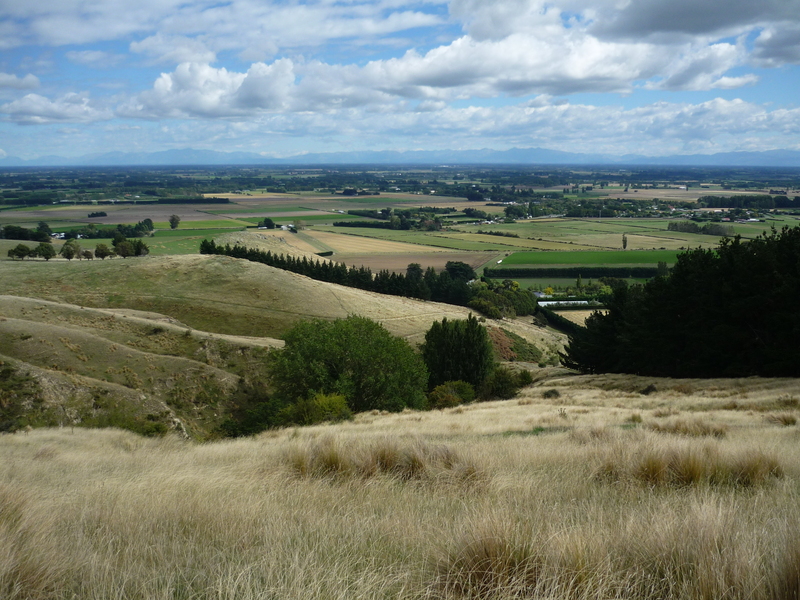 I liked the idea of urban ecology – science close to our homes – and I wondered if there might be something neat going on in Cantabrians’ backyard that they didn’t know about. Little did I know I’d fall in love. Over about five years I traipsed the hills on the city side of Summit Rd, with field sites from Kennedy’s Bush to Cooper’s Knob. I found a wonderland of old growth podocarps, regenerating native bush, swarms of native birds. Mere kilometres from people’s homes, our native wildlife had hung on tooth and nail despite all we’d thrown at them. 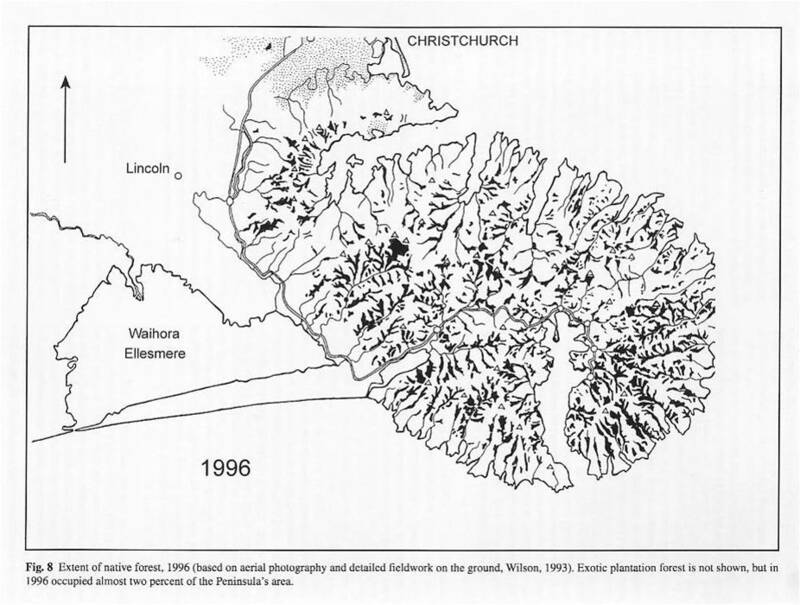 A series of vegetations maps of Banks Peninsula, oft-cited by ecology lecturers, showed the rapid decimation of forests in the area, followed by the slow creep of regeneration. Things were getting better. 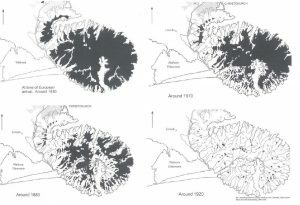 Banks Peninsula deforestation ~1830-1920. Canterbury Botanical Society. The more time I spent on the flanks of the hills, the more I discovered. I startled goats, deer, a sow and her piglets and once, terrifyingly, a boar. I sat eating my lunch watching a black phase fantail flitter about me. I saw a flock of kereru flying above the treetops and watched a hawk swooping above, startling the locals. Sometimes the bellbirds were so loud they’d give me a headache. Once I was sure I heard an elusive tūī. Working up a bank in Kennedy’s Bush one day I heard someone coming up the track below me and stood still so I didn’t frighten them by crashing around in the bush out of sight. Colour me surprised when a man walked past wearing nary but a pair of hiking boots. Another time I came into cell range after a few hours without coverage to find a voice message from the police. I’d left my car unlocked at the top of the hill and they were worried about it. So I hiked back out and rescued my poor Subaru only to find out later that there was a man on the run from police in the area, driving a similar car to mine, and while I was in the bush that day the Armed Offenders Squad was down the hill searching for him. It did explain the helicopter that had been hovering over me that morning while I walked across paddocks to the field site. These were formative years in my life. I struggled as a PhD student, filled with self doubt and loathing. In these years I fell in and out of love, travelled overseas, moved into my first flat on my own; my father died, I forgot who I was, I considered dropping out of uni. I spent many hours alone in the bush, high above the city, soul searching and finding solace. Then the earthquakes arrived. My time in the field was brutally cut short. Those hills, with their rolling boulders, no longer felt safe. When I managed to get back into some of the safer sites – the ones that didn’t require several hours walking to get out again in an emergency – I found landslips and trees knocked over. These places I knew like the back of my hand: changed. Some sites I never managed to get back into to retrieve field equipment; by the time I was brave enough to revisit them my job had taken me out of Christchurch. Watching the wildfires from afar has been devastating. I know so many in Christchurch are still traumatised by the earthquakes, many have been flooded out of their homes, too many still wait for their homes to be repaired. It’s hard to comprehend what it’s like to see this towering stack of smoke over your city; to smell smoke everywhere you go; to be evacuated with few of your belongings or to wait anxiously to find out if your home will be next. To know that at least one of my field sites is in the midst of the fire feels like knowing an old home – one with lots of good memories – has been demolished. 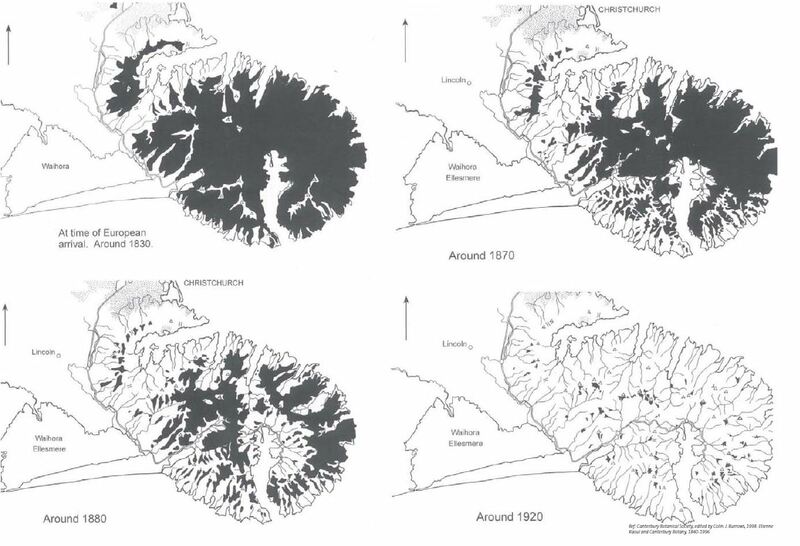 Ecologists know that ecosystems repair after fire. But they don’t necessarily return to the same state. Exotic species like gorse and broom thrive after fire and it can take decades for native regeneration to succeed in pushing through the exotics, eventually overshadowing them and returning to dominance. Three podocarp species in a Port Hills remnant forest: totara (left), kahikatea (right) and matai (background right). 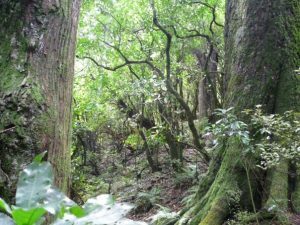 My PhD was on mātai, one of our towering native podocarps, and in those years of traipsing around the hills I met many of the remaining giants. I gave them each an ID – a code for the site and a number – but many I grew to know on a more intimate basis. 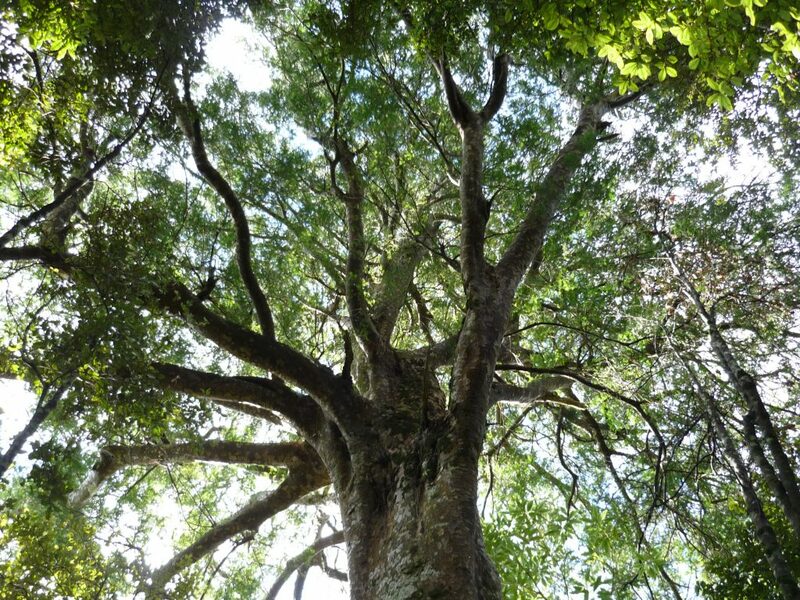 The towering female in Kennedy’s Bush (KB03), flanked by an even taller tōtara and a thicket of regenerating mātai saplings. A few dozen metres away, the three young poles growing in almost a straight line (KB 07-09): the teenagers. Two lone mātai in a small remnant near Cass Peak (CP01/02) – on the flanks of the fire’s current extent. Many of the Port Hill’s podocarp giants would be hundreds of years old, many will have survived fire in the past: some bore the scars to prove it. Hopefully they’ll survive this one, too. As you will, Cantabrians. Sarah-Jane is a media advisor at the Science Media Centre, former reporter at The Press and did her PhD at the University of Canterbury on the seed dispersal of mātai, working across several remnant forests on the Port Hills. All photos © Sarah-Jane O’Connor. That’s lovely, Sarah-Jane, thanks for writing it. I did my studies at UC as well. I used to love escaping the flat western suburbs on my bike, heading up to the wild summit road around to Gebbies pass. Beautiful story SJ thank you.